When considering to increase the security of your business or home, a great option to consider is a keyless entry system. Contact an Ace Lock and Key Locksmith in Jacksonville for a proper survey of your doors for the best options for your application. 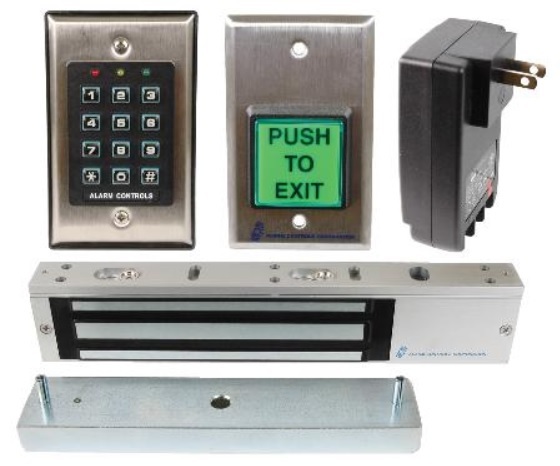 A keyless entry system will work on any door including glass storefront doors, metal doors and wooden doors. These locks range from simple stand-alone wireless deadlocks to wired-in systems showing audit trails off the last 5000 user entries. The types of keyless entry locks are electro-magnetic locks ( entry by a pin code or key fob ), bio-metric lock (which requires a finger print to open), push button lock (a non-electric mechanical push button lock), a stand alone battery operated lock or a lock that requires a proximity reader ( key fob ) to open. As you can see, there are a wide variety of keyless entry lock options. You will need to discuss your access control needs with a certified locksmith from the leading locksmith in Jacksonville FL – Ace Lock & Key Service.